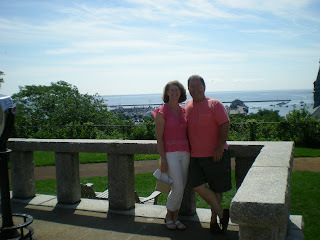 For my birthday Jim decided to surprise me and take me to Cape Cod Mass. It was a place that I had never been but heard so much about all of my life. It was such an adventure. Friday night we went to Melissa and Bob's for ribs, corn on the cob and cake. It was a great meal, also some very nice gifts. Thanks to Melissa's family and Laura. Thanks to Abby for the great birthday cake. 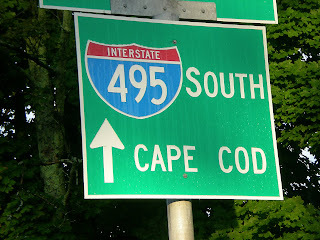 Then up bright and early to the Cape we went. At the very tip is a town called Provincetown. It is very artsy, and we had a great time looking in all of the fun stores, and watching people. 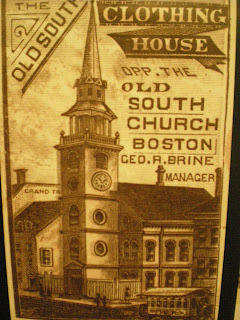 Last year we found the famous Old North Church with Julie and this year we found the Old South Church. I thought that was funny that it was advertised here in Provincetown. Jim's comment was "I never knew there was an Old South Church"! 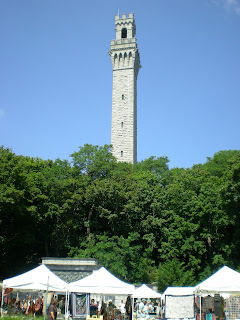 This is the Pilgrim Monument and Provincetown Museum. 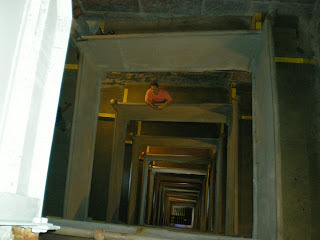 It is the tallest granite monument in the USA, it is 250 feet tall. The granite came from Maine. This was the first landing of the Mayflower Pilgrims in 1620. (thanks to Julie for talking to me while I climb this so I could breath right and not need to use my inhaler). 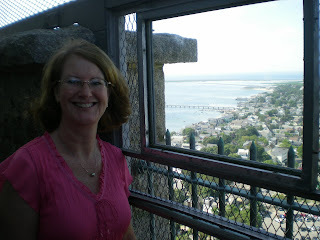 From the top of the tower the view out toward the Atlantic Ocean. View of the bay from the top. 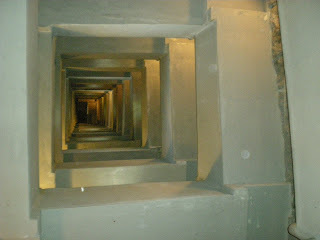 Looking up and down the tower. It is a very long way. Jim on the way down. Jim certainly caught me just over one and half years ago. 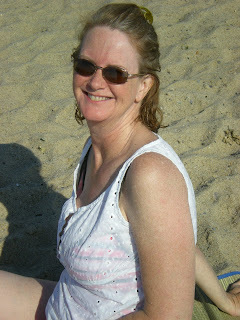 It wouldn't be a day at Cape Cod with out going to the beach. I even got into the water. It was cold but very nice. 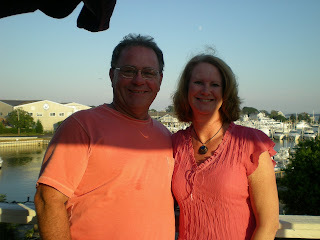 We had dinner at a Lobster Restaurant in Hyannis Port. This is where the Kennedy compound is. 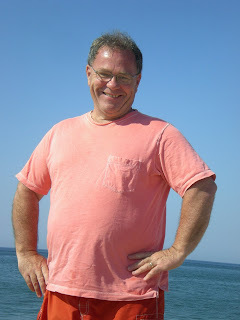 It is also where you catch the ferry boat to go to Marthas Vineyard and Nantucket. It was the perfect ending to a perfect day. Thanks to all who made my birthday great. Especially my sweet husband. Happy Birthday Karen!! We love the cape..we actually took our Honeymoon there. 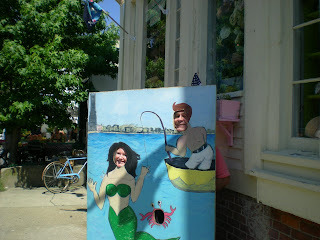 Did you notice anything "funny" about Provincetown??? 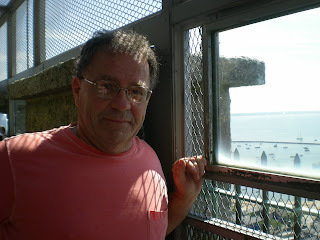 Glad you had a good time, the cape is beautiful, we want to go back soon, we haven't been there since Tiffany was born..maybe next year we can all go together and we can show you guys some other cool things at the cape! Happy Birthday, Karen! I'm so glad you and Jim found each other. Looks like a wonderful trip. Happy Birthday.